During the May 20 Elie Wiesel Foundation dinner, George Clooney announced an expansion to the Satellite Sentinel Project (SSP), an initiative he co-founded three years ago with the Enough Project’s John Prendergast. While it will continue to use satellite imagery to monitor and warn against human rights abuses in war-torn Sudan and South Sudan, SSP will expand its work in reaction to the changes in modern conflicts. As conflicts in Sudan, South Sudan, the Democratic Republic of the Congo, the Central African Republic, and the surrounding region become more linked with regional criminal networks, SSP will widen its focus to undertake forensic investigations to reveal how those committing mass atrocities are funding their activities and where they are hiding their stolen assets. 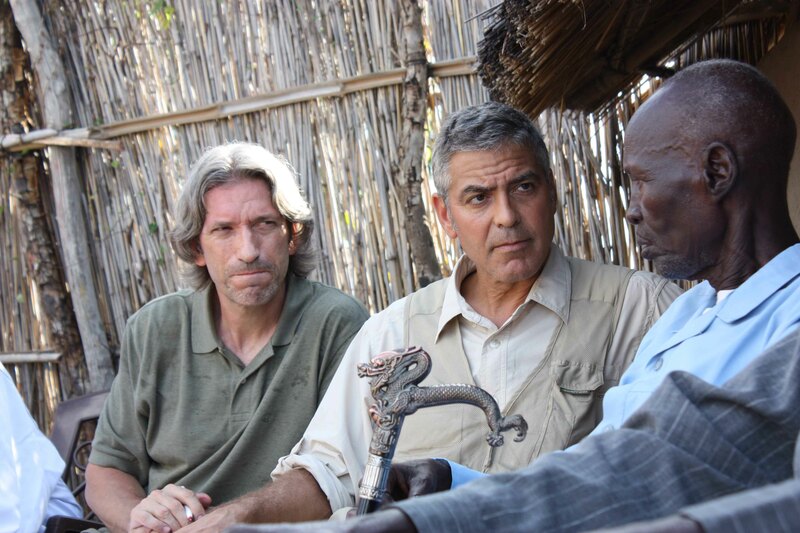 Inspired by a trip to Sudan in 2010, Clooney and Prendergast created SSP with the intention of using satellite imagery to deter a return to full-scale civil war between northern and southern Sudan and deter and document threats to civilians along both sides of the border. This partnership between the Enough Project and Not On Our Watch, with satellite imagery and analysis provided by DigitalGlobe, has diligently documented the crimes of state and non-state actors in Sudan and South Sudan, as well as their human impact. Focusing on the economic sources of those committing crimes and the role of regional conflict systems will allow SSP to continue its mission to end mass atrocities in Sudan, South Sudan, and now the region.